Could you afford to lose 31.2 million working days? According to The Labor Force Survey, this figure illustrates the volume of unplanned worker absence due to non-fatal workplace injuries. In fact, the number of non-fatal workplace injuries in reached 609,000 in 2017 — with cuts and lacerations among the most common causes. Industry leader in apparel distribution, Ralawise believes automation could be the solution. Accidents in the workplace can be caused by multiple factors. However, some industries are prone to a higher risk of accidents than others. Warehousing is a prime example of this. In the sector, every effort is made to reduce the likelihood of large accidents, such as pallet rack collapses and forklift collisions. However, it is equally important to minimise the causes of small injuries in these environments. Cuts and lacerations account for over one million hospital visits each year — many of which will have been sustained in the workplace. Lacerations can vary in severity, from a small nick that requires a plaster, to much more serious cuts requiring hospital visits, stitches and time off work. Worse still are injuries that cause permanent damage to the worker, leaving them unable to return to work. Usually, these lacerations are caused by the cutting tools used in warehouses to open cartons and remove packaging. In a bid to minimize the likelihood of these accidents and better the health and safety for its workers, Ralawise began investigating ways it could reduce the use of knives on its warehouse floor — without reducing throughput. Ralawise is a large-scale apparel distributor, holding over 16 million items of stock, made up of 114,000 products, from 182 brands. From its warehousing centre in Flintshire, the company processes an average of 3,000 cartons per day into its pick solution for product replenishment. These cartons are often secured with nylon branding and wrapped with multiple layers of stretch film. To process these cartons effectively, Ralawise employs a team of warehouse operatives to cut, unwrap and unpack these boxes quickly, before moving them onto the next part of the distribution process. Steps were already taken to enhance the safety of workers, by using retractable blades and investing in high quality utility knives. However, while workers are always encouraged to exercise caution — and would have been provided with the appropriate training to use this equipment — using a blade manually always runs a risk of injury. To cut boxes, you cannot remove knives from the equation. Instead, Ralawise began investigating ways to remove human employees from harm’s way, by searching for an automated solution for box opening. Robots have long been used to separate human workers from dangerous elements in a factory or warehouse. Consider the traditional six-axis robot as an example. By deploying these machines to production lines in the 1960s, manufacturers could remove workers from the danger of heavy and fast-moving processes. Similarly, box opening robots, while on a smaller scale, can eliminate the need for workers to handle blades. Unfortunately, box opening robots are not as common as the more traditional six-axis or SCARA robot models. To find a robot that could perform this task effectively, Ralawise approached TM Robotics, the European, North and South American distributor of Toshiba Machine industrial robots. While specialising in the distribution of Toshiba Machine robots, TM Robotics prides itself on its ability to recommend the right automation for each application. On this occasion, TM Robotics suggested the Intelligent Box Opening Device (IBOD), the only patented automated box opener on the market. 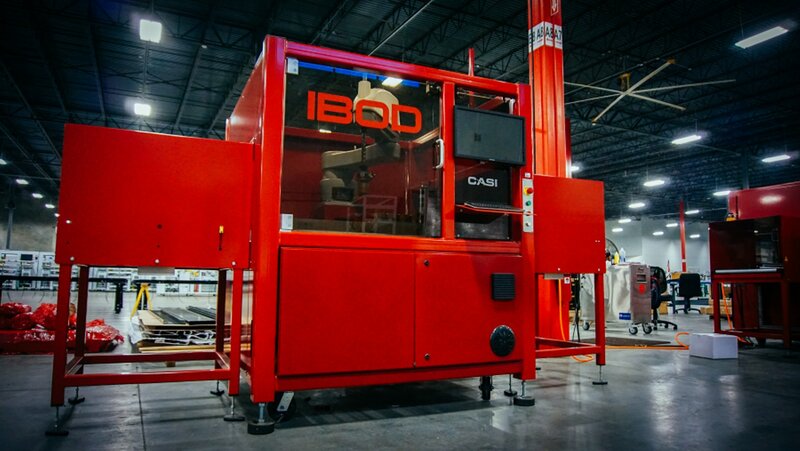 The IBOD is a case cutting and extraction machine from CASI, a specialist machine builder of automation systems for fulfilment processes. The IBOD is a specially designed, pass-through box opener. Using built-in intelligence, the machine can measure the size of every incoming case to find the programmed cut lines on each carton. 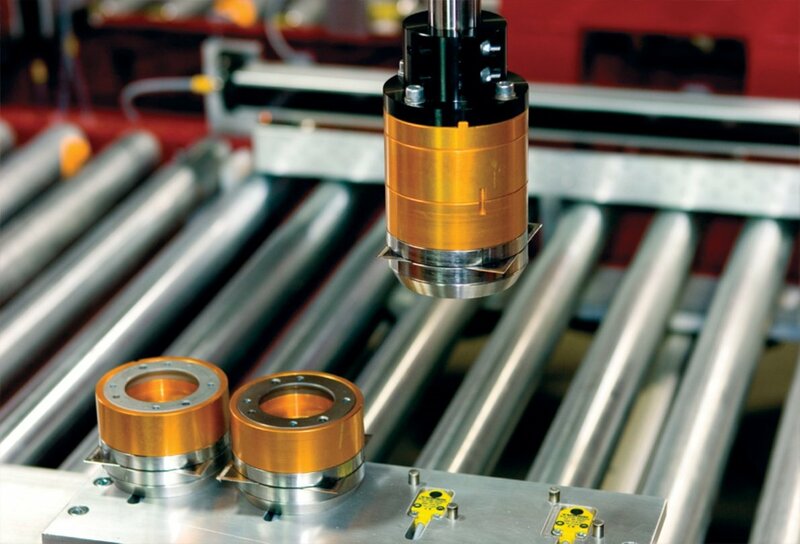 As the machine is automatically self-feeding and self-aligning, using a conveyor, it does not require a human worker to tamper with boxes or blades. 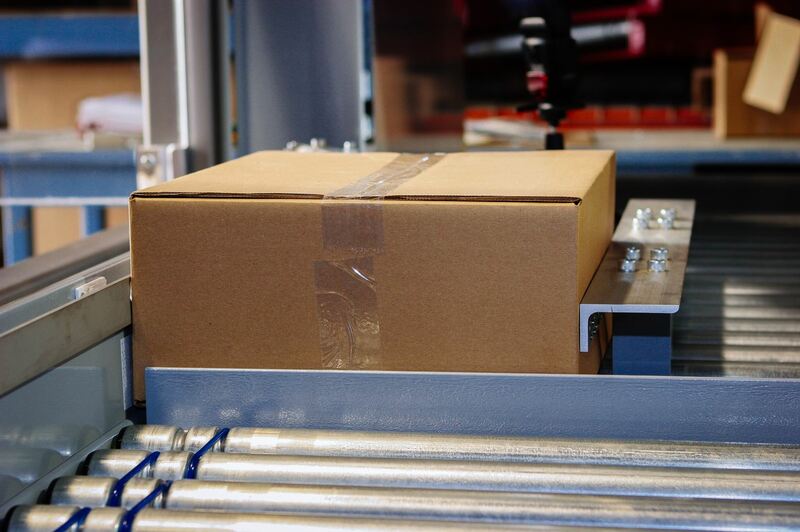 However, switching from manual box opening to an automated version can be a significant shift for a distribution facility. From integrating the machine with existing technology, to preparing for the cultural expectations of employees of the factory floor, there’s a lot to consider. Before making the investment, Ralawise was invited to visit the CASI facility in Frisco, Texas to see the machine in action. “Improving health and safety was a key priority when searching for a box opening robot,” explained Gary Clibery, Facilities and Projects Manager at Ralawise. “However, having seen the machine in action when visiting CASI in the US, we soon realized the investment could provide a significant boost in productivity, quality and throughput in this part of the operation. Since the installation of the IBOD, Ralawise has cut 135,000 boxes at its Flintshire facility. Of these, only one box suffered from damaged contents — a considerable reduction compared to the damage caused by manual box opening. The IBOD comes in two variations, to suit varying types of warehousing applications. The IBOD ONE, the smaller of the two models, can cut the top cases of cartons at a rate of up to 450 cartons per hour, whereas the IBOD DUO can operate at a rate of 750 cartons per hour. Ralawise choose the IBOD ONE for use in its box opening processes. Using photo optic and linear displacement, the IBOD measures the dimensions of each box before positioning it for cutting. With a programmable motion device, the robot then uses software-controlled automation to cut boxes according to the precise specifications defined by the customer. Ralawise required the robot to remove lids from cartons entering its distribution center. By automating this process with the IBOD, the company eliminated the possibility of cuts and strains, which are commonly associated with cutting boxes manually. However, the company also benefitted from increased productivity, due to the fast speeds of the IBOD. This automation also meant staff could work on more complex tasks, rather than simply opening boxes. “The IBOD offers more than simply removing the risk of cuts and lacerations to workers,” explained Nigel Smith, managing director of TM Robotics. “Processing up to 750 cartons per hour, warehouses should expect to reap significant throughput rewards from the machine. The IBOD can also be equipped with an Automatic Blade Changer (ABC), minimizing downtime to change dull blades. The IBOD has a blade wear monitor which tracks the life of the blades and automatically changes the blade cartridge within seconds when the blades reach the end of life threshold. Automating processes can significantly reduce the likelihood of accidents in all industries. While large-scale health and safety in warehousing is often accounted for, seemingly small accidents can often cause the most significant damage, such as long-term injury, reduced morale from employees and compensation claims. Minimizing the possibility of cuts and lacerations provides the obvious advantage of improving safety for workers, but as Ralawise evidenced, automating these tasks can also reap productivity rewards. More information on the IBOD box opening solutions can be found on the TM Robotics website. A demonstration of the technology can also be viewed on the TM Robotics YouTube channel. For further details or any specific questions on the technology, contact the experts at TM Robotics on (847)-709-7308 or info@tmrobotics.com. About TM Robotics: TM Robotics has installed thousands of robots in factories throughout the world, including North and South America, India, Russia, Europe, the Middle East, Africa and Australia. Many of the top manufacturing companies depend on TM Robotics’ product offerings for their reliability, performance, and overall value. In partnership with Toshiba Machine, TM Robotics is the only company that offers a comprehensive range of all three categories of robots; 6-axis, SCARA, and Cartesian. These are designed and built in-house. TM Robotics delivers cutting-edge solutions, training, and support services for industrial and commercial applications. For further information please visit www.tmrobotics.com.